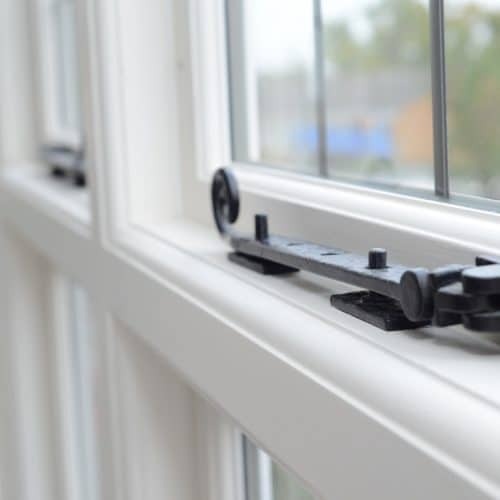 Many prospective clients come to us wanting to upgrade the performance and efficiency of their windows, while keeping their original character and design. 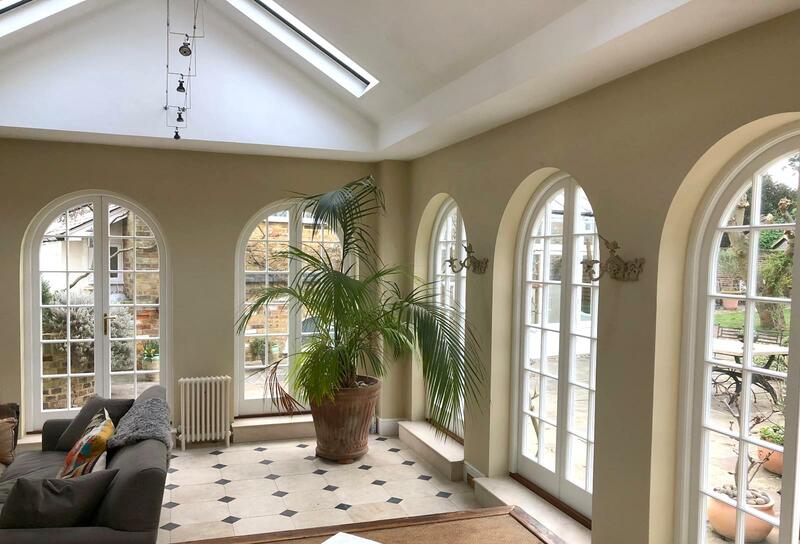 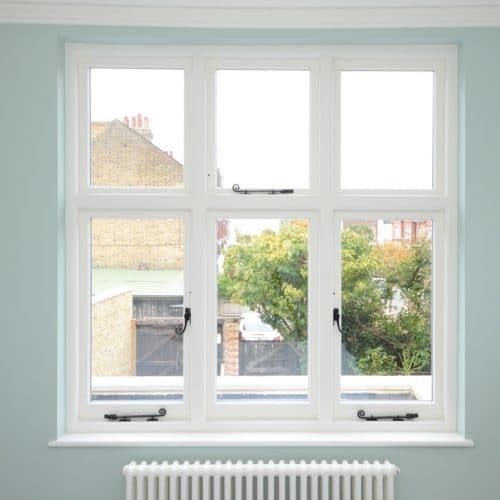 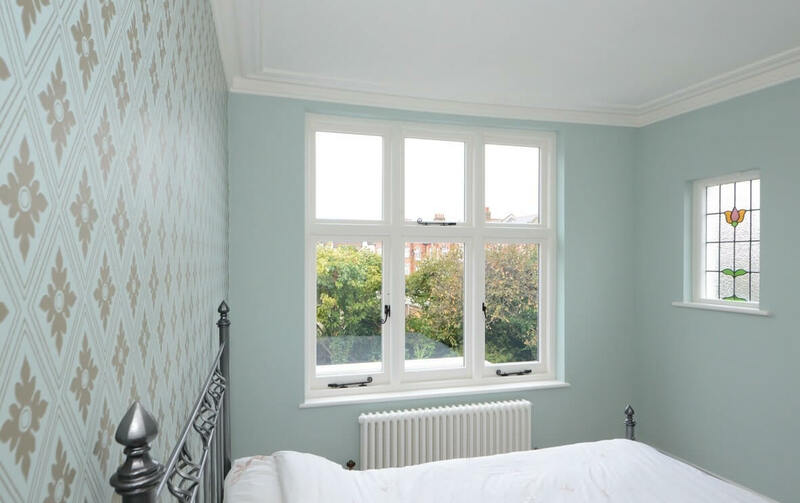 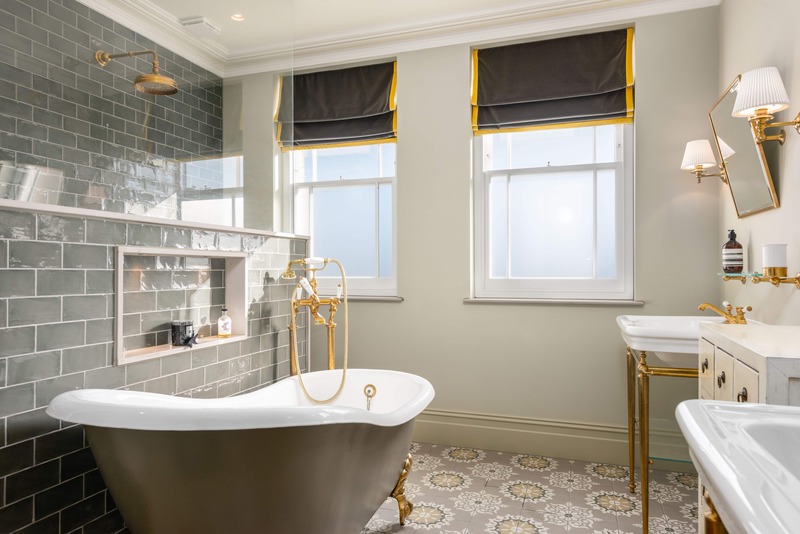 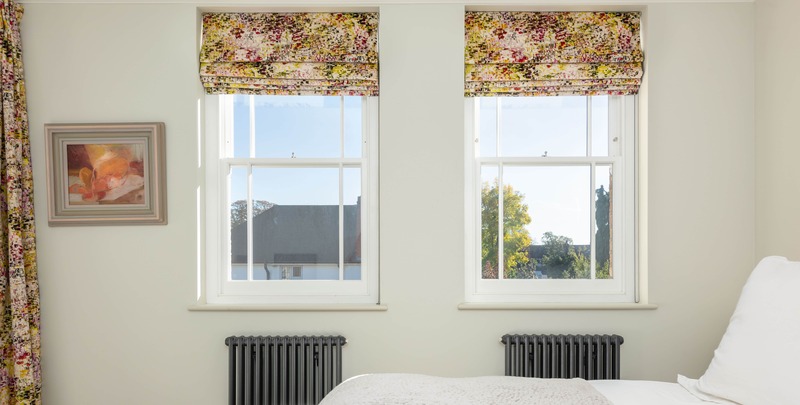 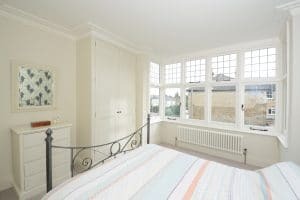 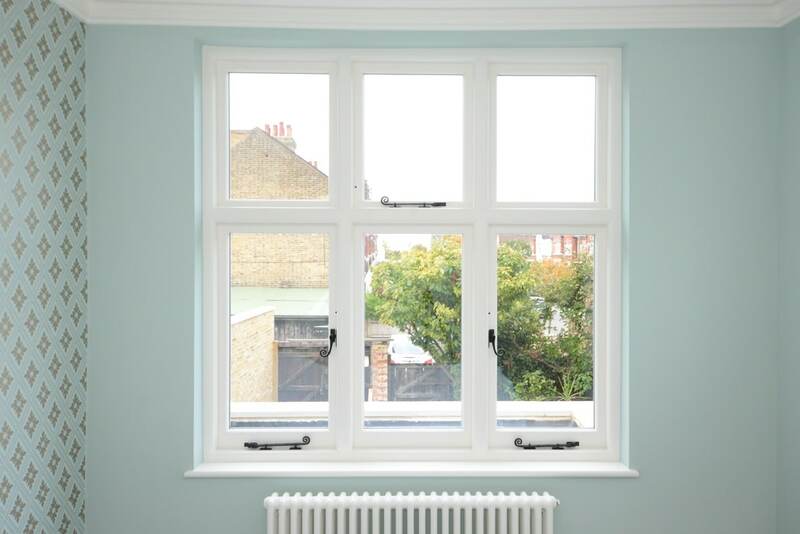 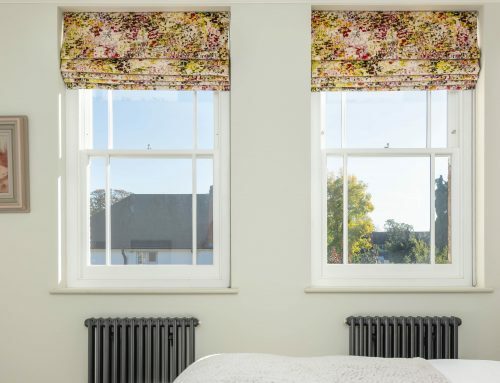 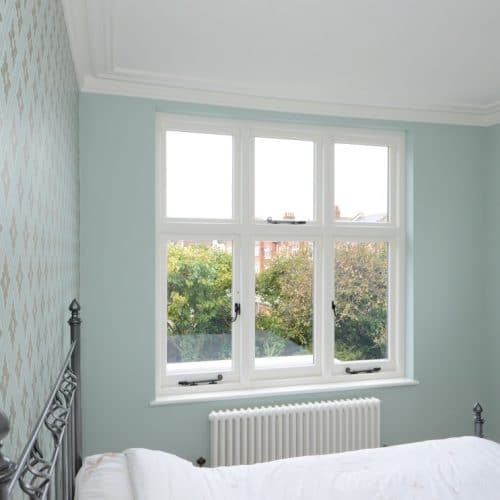 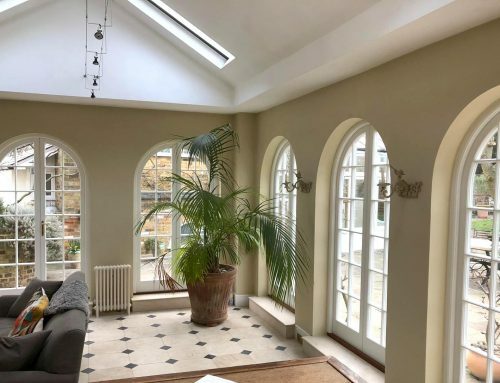 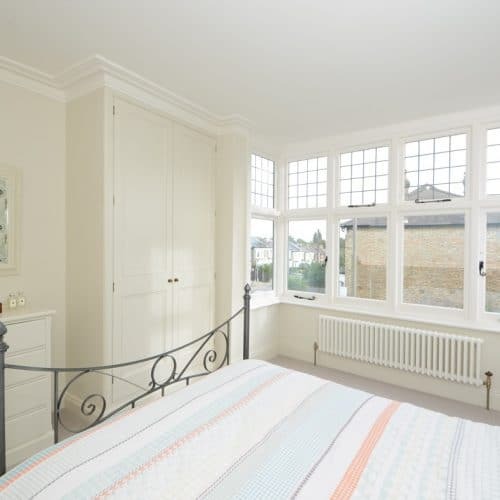 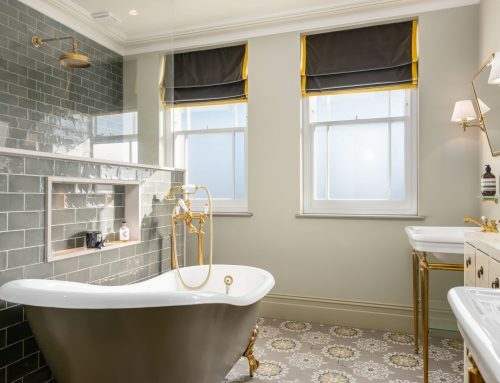 The owner of a beautiful ‘Between the Wars’ corner property in Balham, South West London, wanted us to accurately replace the timber casement windows, which included a two-storey square bay, while improving the noise and thermal insulation. 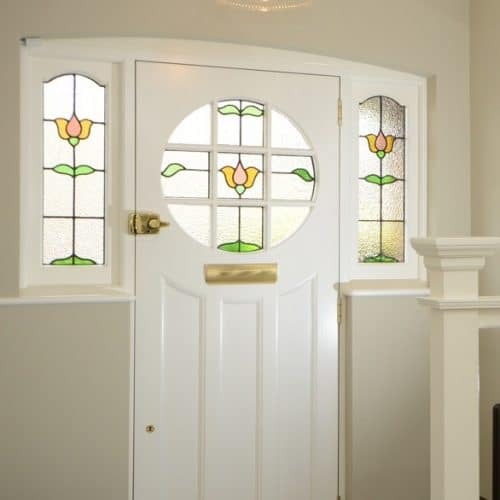 Part of the works included the faithful replication of the original front door including salvaging, restoring and replacing the original period stained glass that was a key feature of the door and side panels. 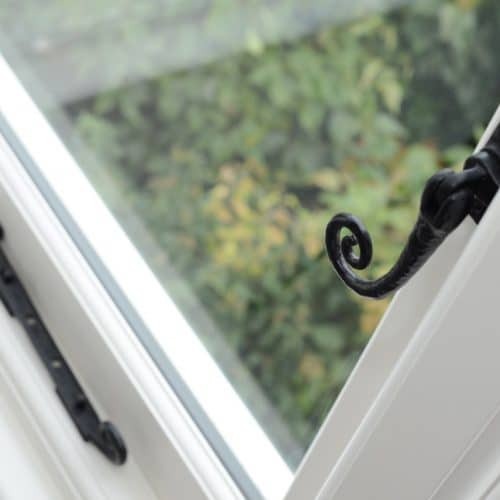 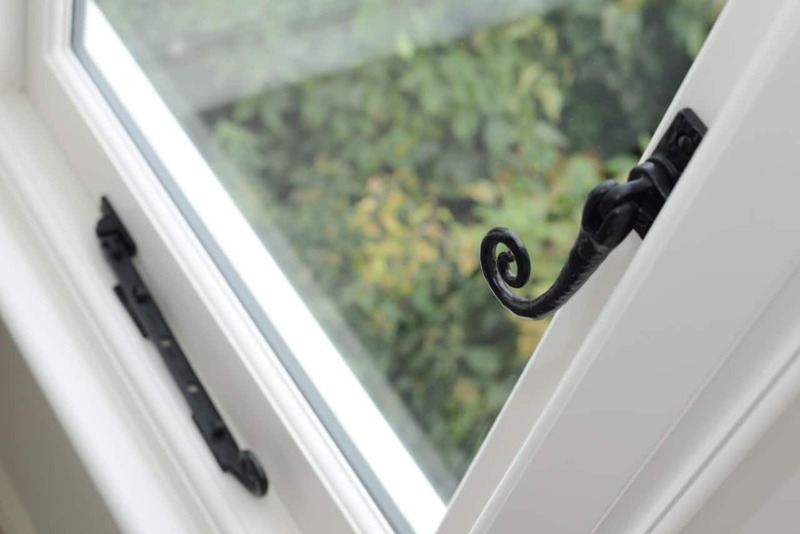 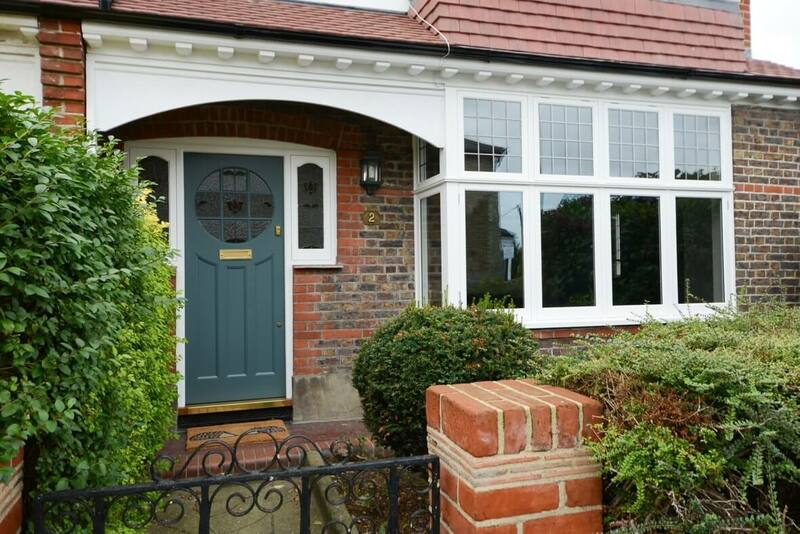 For the windows, we were able to offer our slimline double glazing units that have all the benefits of standard double glazing, but with a more elegant, delicate look that make them more suitable for period properties. 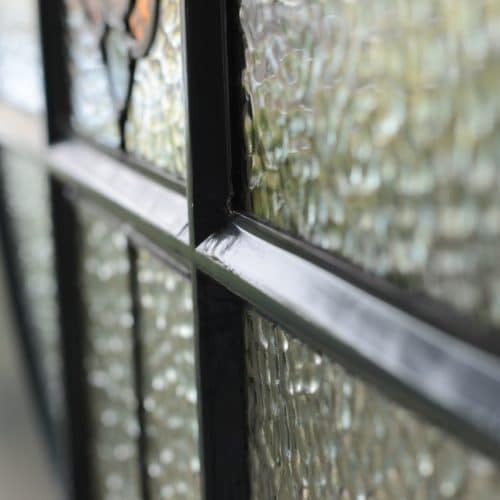 To achieve the same energy efficiency in a thinner glazing unit, the cavity between the panes of glass was filled with krypton gas, a very dense, inert gas that has excellent insulation properties. 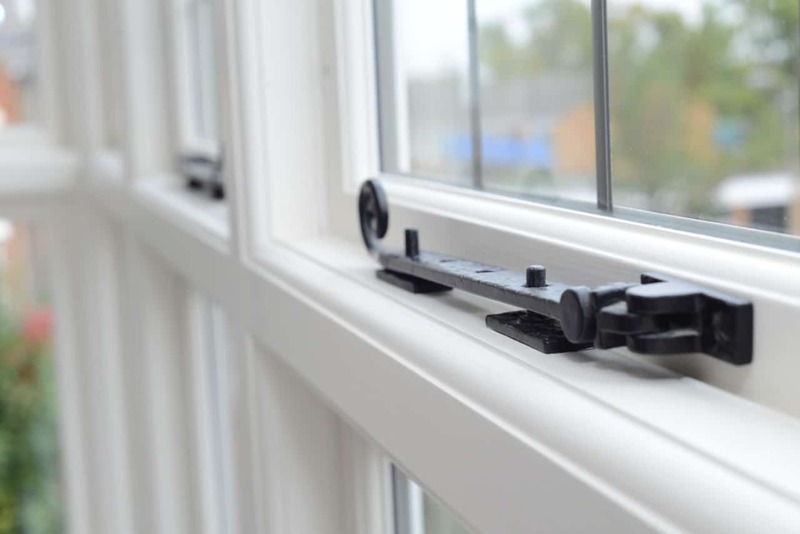 The glazing units also had warm edge, foam like spacer bars which are more thermally efficient than traditional aluminium ones. 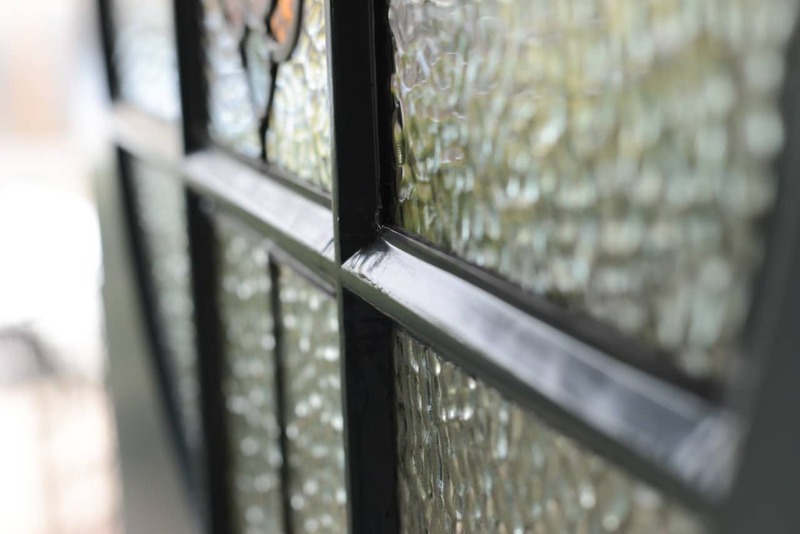 For the inner pane of glass we also used a ‘Low E’ (low emissivity) coating which reflects heat back into the building and offers better thermal insulation than plain uncoated glass. 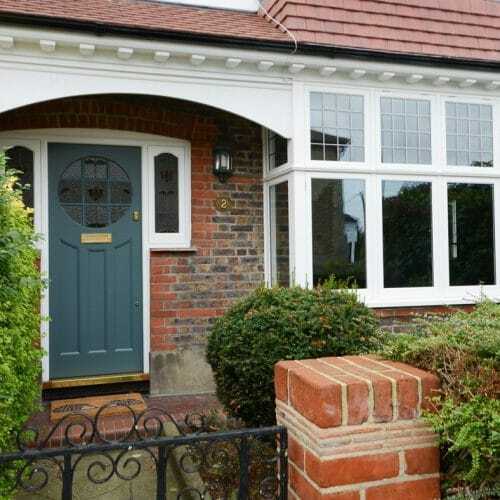 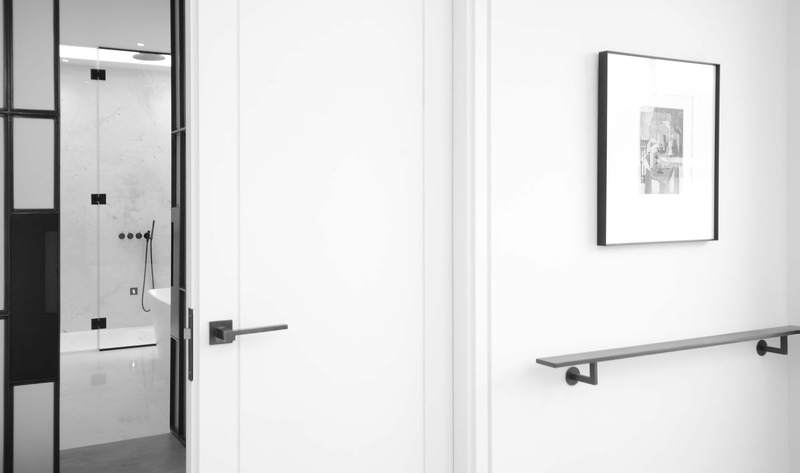 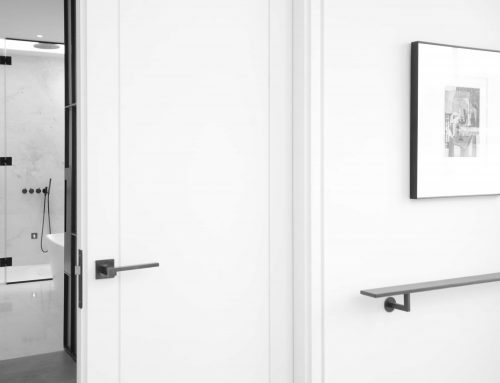 Both the windows and doors were made with accoya timber, which is our timber of choice because of its thermal efficiency and stability, so it won’t swell or warp. 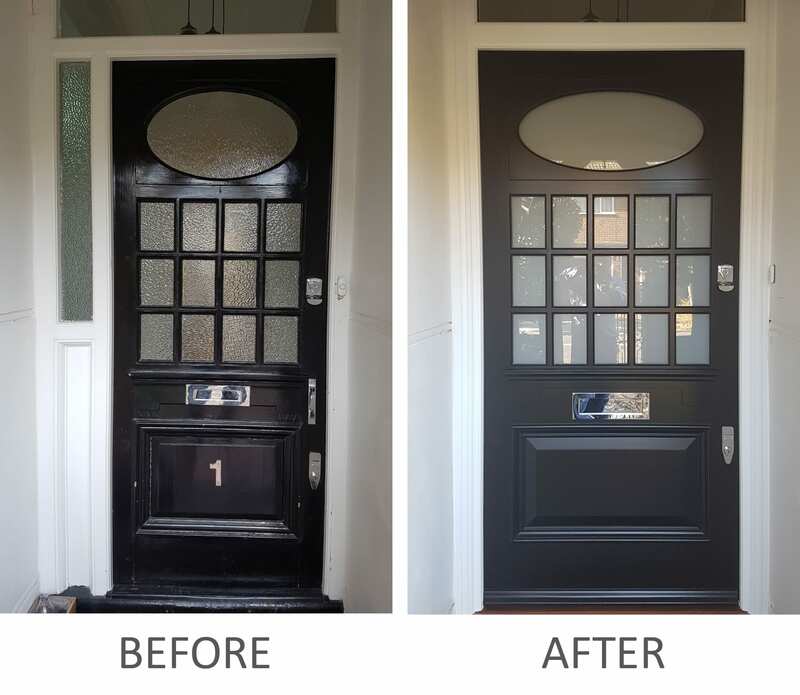 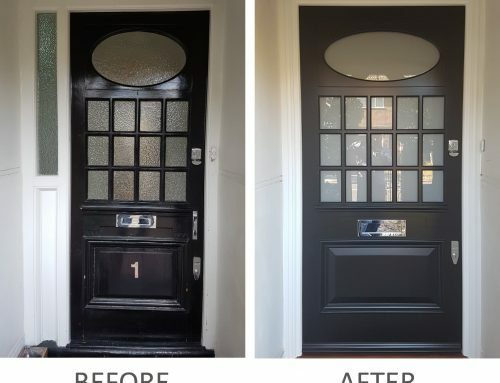 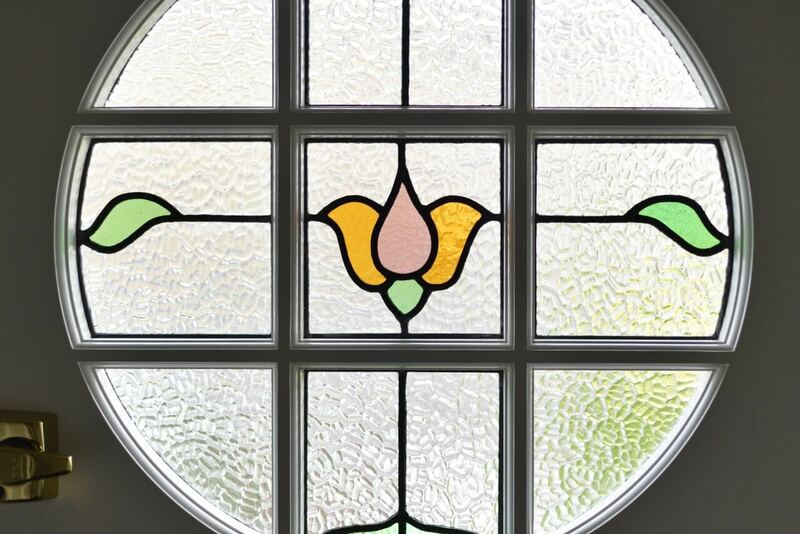 On the front door, the original stained and leaded glass was glazed in place with putty to give the original period look, and the door was colour-matched from a sample the client provided, and finished with the client’s choice of hardware. 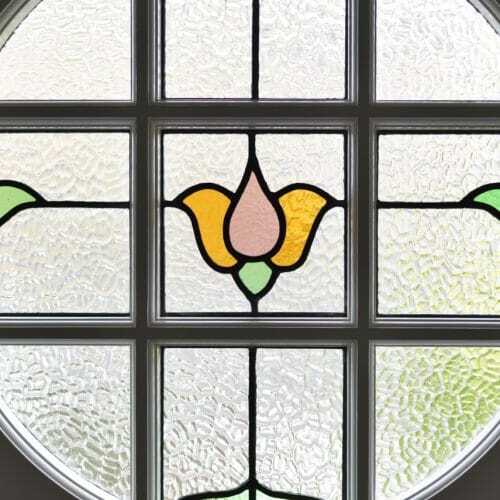 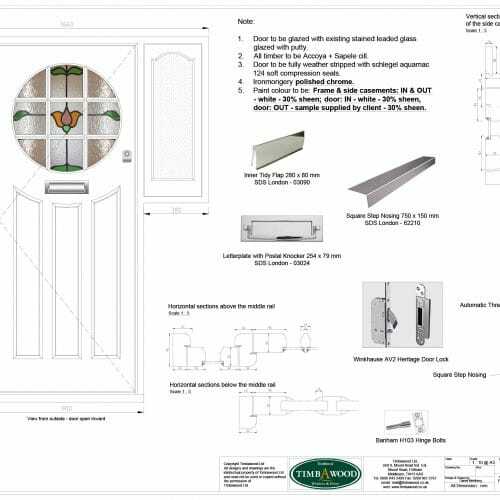 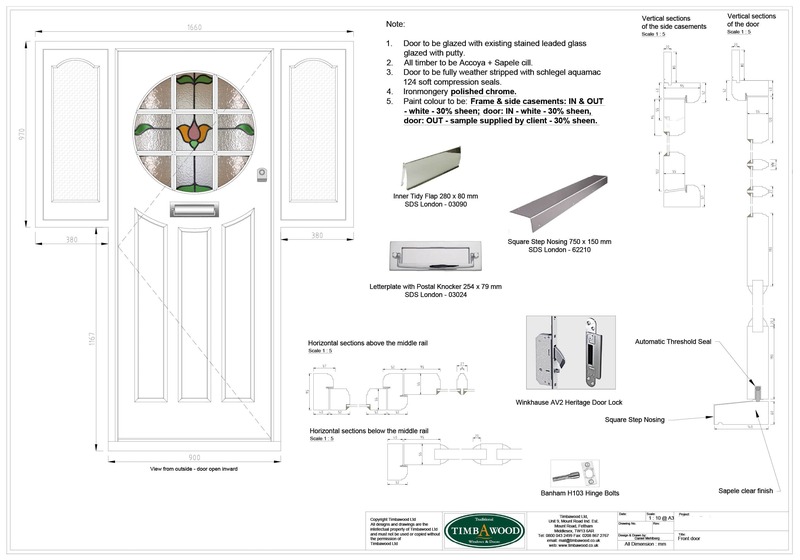 As specialists in timber windows and doors for period, conservation and listed properties, at Timbawood we pride ourselves in creating authentic designs for unique properties, while offering the latest upgrades in comfort and security. 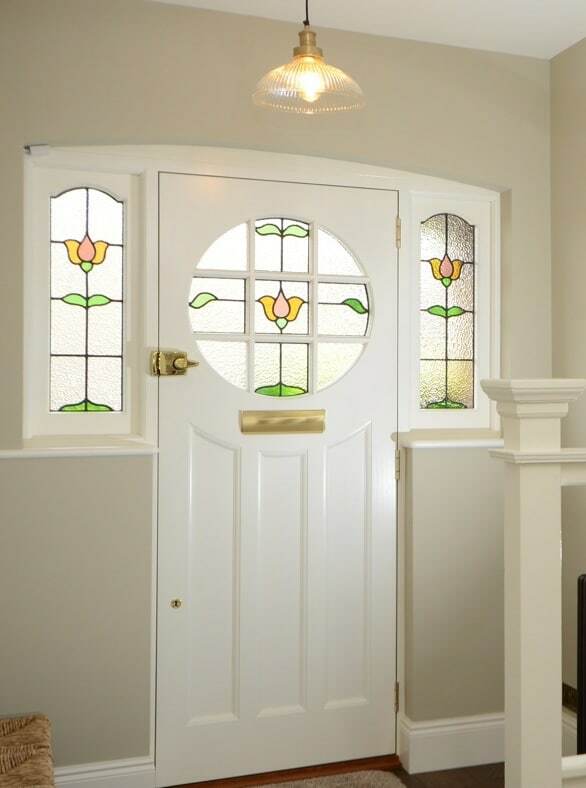 Please contact us if you’d like advice or a quote on your property project.